To me, this M3 is a very interesting counterpoint to yesterday’s RS6. Many aspects are the same; pristine original condition, lower mileage, mid-2000s leading edge performance car. It’s there where the similarities end. While the RS6 represented the stepping over a threshold of performance into a war of escalation, the E46 M3 was, in many ways, BMW’s equivalent of the Porsche 993. It was the ultimate development of the normally aspirated inline-6, and to many (this author included), it was the best of the breed. The third generation M3 is simply a marvel. It took the basic layout of its predecessor and improved essentially every aspect. The E36 wasn’t aggressive looking enough? Fixed. The motor wasn’t the technical marvel that was the European version? Fixed that, too. And the build quality and plastic materials in the second generation were a bit lacking? Solved that one, as well. 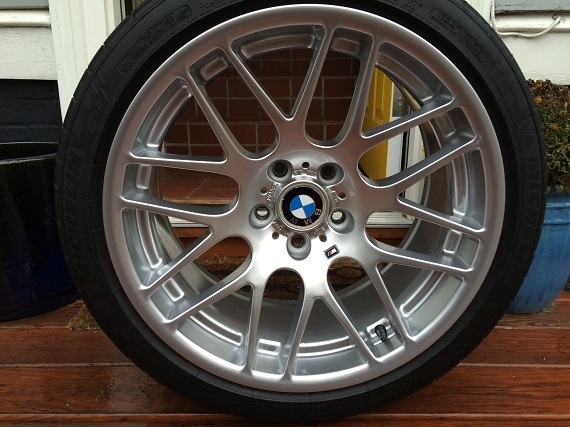 Are there drawbacks to the E46? Sure, it only came in two-door guise. There are also some known weaknesses in the chassis, like the subframe problems that can be a costly repair. The S54 is also a more expensive motor to repair than the S50/52 had been, and requires more maintenance (and, super costly oil). But enough gripes, because while there isn’t a collector market for 2000s Audis, the E46 never really went through the dip in value that the E36 did. Prime examples have always demanded strong money and appear to be on the rise, with several notable auctions recently hammering for ever increasing numbers. 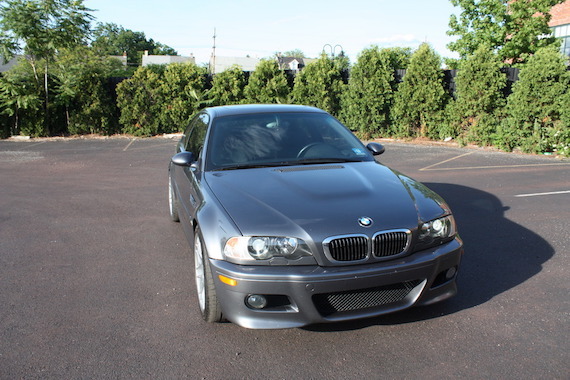 Today’s example comes from the end of the line for the E46, and is about as desirable as they come to market. 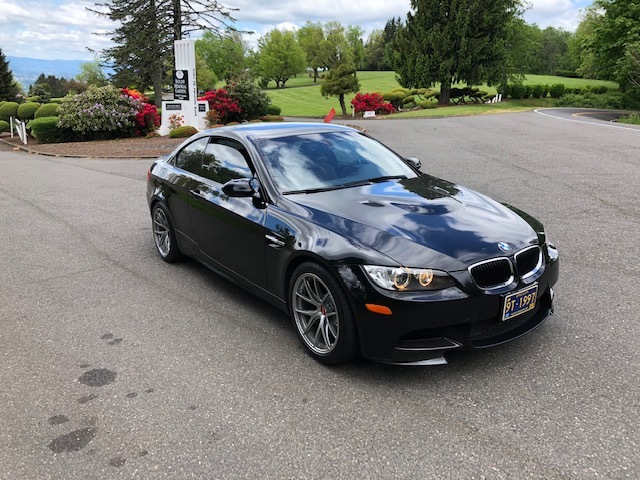 One of 2943 A08 Silvergray Metallic coupes imported, it has the desirable N51M Imola leather interior, the even more desirable 6-speed manual transmission and equally sought ZCP Competition package, and it’s only traveled a reported 11,600 miles since new. 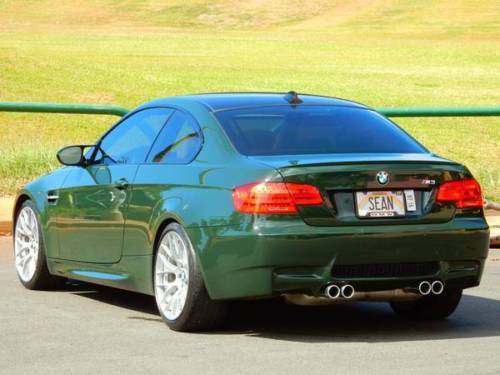 Of all the various iterations of the M3, the E46 version is my favorite (and the only one that I’ve actually driven. My dad owned one for a while). I love the S54 engine. The 3.2 liter, straight six powerplant emits an intoxicating, raspy howl when you mash the throttle and puts out just over 330 hp, enough to get the car to 60 in under 5 seconds – numbers that remain respectable today. I love the looks. The standard E46 coupe is attractive, in a sober and responsible way, but the bulging wheel arches, wider track and squat stance dial up the menace and aggression without overdoing it. And finally I love the everyday usability of these cars. The E46 cabin, for example, is a study in perfect ergonomics, offering a comfortable driving position and thoughtfully laid out controls. The chassis is taut and communicative, equally at home on the track or on the street doing the grocery run. Either way, it’ll put a smile on your face every time you drive it, which you can comfortably do, every day. These cars were produced in large enough numbers that finding one isn’t difficult, but you might have to wait a while (and spend a bit more) to get one in your ideal spec. For me, that would be a 6-speed manual coupe in a dark metallic color. Hardly out of production, journalists and enthusiasts alike are already calling the last of the naturally aspirated M3s a classic in the making. Some have even gone so far as to call the E9x M3 the best M product BMW has produced. Certainly it was a screamer, with butch good looks to back up the impressive power chops on tap from the S65 V8. As always, I’m drawn to the more unusual colors offered through BMW’s Individual program and today’s example is a pretty interesting one. 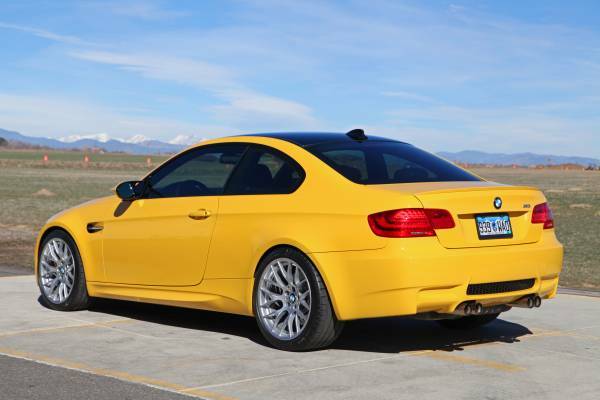 Apparently, dissatisfied with the yellow-toned options from BMW’s own color catalogue, the buyer of this particular M3 asked BMW to head to the Black Forest and it came back with Speed Yellow from Zuffenhausen. A vibrant tone more piercing than Dakar but not as orange as Atacama, does this E92 light up your sky? Hard to believe because it seems like yesterday and I still have to pinch myself when I see it sitting in the garage, but I’m entering my 5th month of BMW M3 ownership. 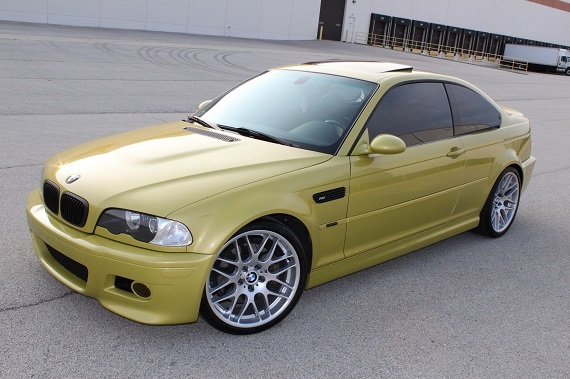 As I covered in the introduction back in December 2015, the new-to-me pride and joy is a 2003.5 M3 in Phoneix Yellow Metallic. There was only one change I wanted to make – the addition of the ZCP Competition Package 19″ BBS wheels, and the solution ended up coming to me unexpectedly quickly. This past weekend, I went out to Coventry Motorcar to sample some of the cars. My wife and I took out a nearly new RS5; it was impressive for sure. Then we took out the twin-turbo V12 CL65 AMG that was chipped; with well over 700 horsepower and enough torque to bump-start a Saturn V rocket, the throttle pedal simple corresponded to a large amount of giggling every time I dipped into it. But the car that we drove that stood out was the less powerful, older BMW M3. It was an E46; getting on a decade older than the RS5 – and obviously the technology has increased in leaps and bounds, as the Audi has near infinite adjustments for every aspect of the car. But driving dynamics? 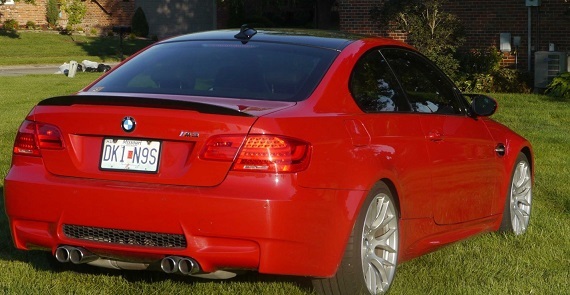 The M3 showed why it was, and still is, the benchmark that all other cars are compared to. It was thoroughly composed down the road, and slipping inside you felt instantly at home. A throaty shout announced each touch of the throttle, growing in vigor to a scream as the motor worked its way up the tach. On the go, it felt more composed than the Audi; amazing as it sounds, the Audi felt like it was trying to convince you it was fast. The BMW felt relaxed and at ease; it was like Usain Bolt showing up at a power walker’s evening workout. It just felt natural. When I got back to the shop, the manager said “if you liked that, wait until you drive the 2011”. My ongoing search for a clean E46 M3 continues, and despite the relatively high number produced it does indeed seem more difficult to track one down than it probably should. Early cars are typically more suspect, with many owners, dubious modifications and higher miles. Additionally, my criteria for getting into an M3 is admittedly limiting. The car must be a manual gearbox, and given that I have a preference for some of the more expressive colors like Laguna Seca Blue and Phoenix Yellow, that seems to be more difficult. 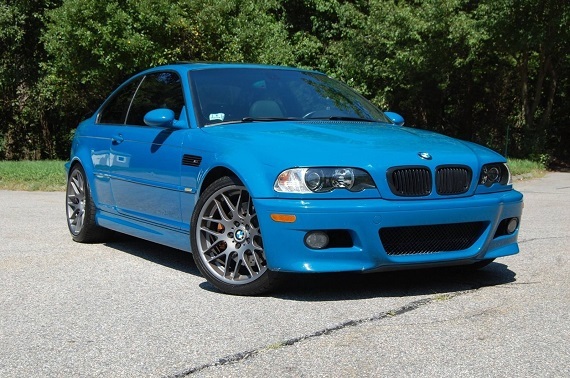 But in my search I happened upon an unexpected gem that threatened to turn my head from the Crayola-toned early examples; for the most part, I’ve ruled out the later M3s because they demand higher asking prices and there seem to be less in wild colors. 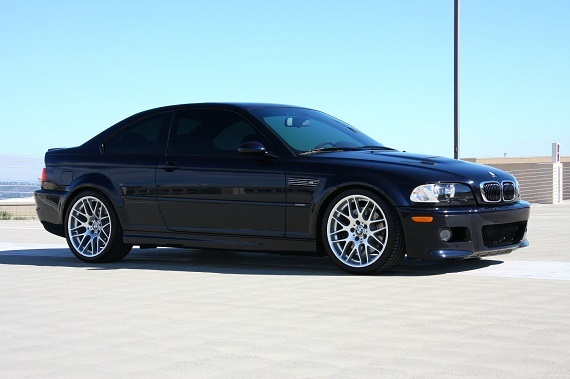 This car stood out for not only being the last model year of the E46 M3, but also because it was a ZCP car. Though I’ve sworn I’d never voluntarily buy into another black car, the ultra dark midnight blue hue of Carbon Black Metallic is compelling enough to consider. 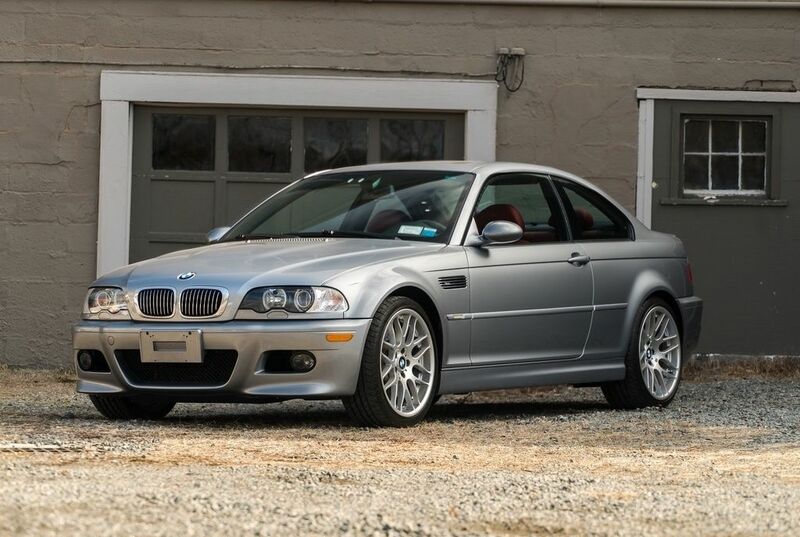 Add low miles, careful ownership and some discrete modifications from the best in the business to the recipe and this appears to be one of the nicer E46 M3s on the market.